Senator Sarah Hanson-Young on Australia's Refugee policy. Now is the time we all need to be brave and say ‘not in my name’. This week, the story of asylum seekers making their way to Australia on a leaky boat has snowballed into a whirlwind of speculation, shrouded by secrecy and denial from the Government. 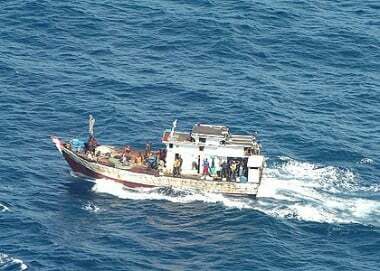 Reports of 153 Tamils, including 37 children nearing our shores in desperate need of food, water and dry land defy the recent proclamations from the Abbott Government that the boats have stopped coming. For months we have heard Tony Abbott and Scott Morrison proudly declare that the boats have stopped! But this event has shown that no amount of cruelty will prevent people from taking desperate measures in search of safety for their families. The boats are still coming. People have travelled thousands of miles in search of safety. The only thing that has stopped is the government providing information about what is really going on. What we are hearing is that the Australian Government is attempting a dangerous handover with the Sri Lankan Navy out on the high sea. Scott Morrison is refusing to say a word and the Sri Lankan Navy keep changing their story. Scott Morrison has insisted that there is ‘nothing significant’ to report. Nothing significant? There are over 30 children, including babies, in distress on the high sea, if that’s not significant Minister, what is? 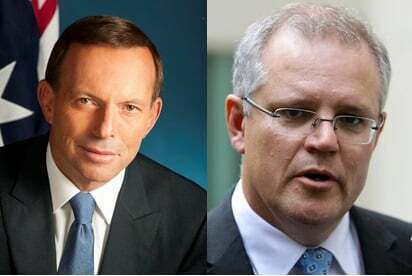 Both Tony Abbott and Scott Morrison are refusing to answer questions. 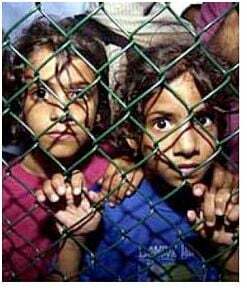 There are children being held in custody on Australian prison ships in the name of the Australian people. The implications of this event are more than a just a blemish on the governments ‘stop the boats’ mantra. If returned to Sri Lanka, our Government risks breaching international law, whilst also destroying the lives of over 150 people who will face almost certain harm if returned to the country from which they have fled. The cornerstone of our international obligations under the 1951 UN Refugee Convention is the non-refoulement principle, which prohibits returning refugees to places from which they have fled. Without proper assessment, the Government cannot guarantee that these people won’t be returned to harm. However, this is highly likely given the ongoing targeting of Tamils in Sri Lanka which has been documented by numerous human rights organisations. Sri Lanka has the second highest number of disappearances in the world, preceded only by Iraq. Under these regimes thousands of people are disappearing off the face of the earth and are never seen again. Tamil people in Sri Lanka continue to face ongoing persecution and are routinely tortured and kidnapped. In recent weeks, Tamil asylum seekers in Australia have been so frightened and mentally tortured by the prospect of being forced home that they have set themselves on fire so as not to be returned. these asylum seekers are fleeing. This cruelty is being carried out in the name of the Australian people. We are chipping away at any level of decency and compassion we once had as a nation. In years to come we will look back on the way we treated asylum seekers and refugees, and reflect upon ourselves with shame that we did not do more to stop the injustice. There is another way. We can offer people hope and extend a helping hand to those in need by increasing the number of refugees we resettle from the region and assessing asylum seeker claims in places like Malaysia and Indonesia, before they are forced to take a dangerous boat journey to Australia. Compassion is not a sign of weakness; turning your back on people who are pleading for help is what cowards do. ‘The Big List of Reasons You’re Wrong About Asylum Seekers’ based off Rick Morton’s article ’10 things you need to understand about asylum seekers’. 1. “They’re illegal! Aha, our criminal justice system will protect our prejudice!” I don’t quite know how to put this, so I’m going to go with a simple: no. They’re not illegal. Both Australian and International Law allows those seeking asylum from persecution in their countries to seek it. 2. “They’re queue jumpers, look at them deftly skipping that queue!” I want you to show me, on a map of the world, where this queue is. Even if there was a queue, you’re missing the point. You see, if you wait in the ‘queue’, you will get caught and persecuted and shot and killed or any combination of the above. You might die on a boat too, but what choice do you have? 3. “But they’re just boat people!” They’re not boat people, they’re fleeing from horrific persecution and terrible lives. Show some respect. 4. “Well, what if they come and steal our jobs?” Accepting people into this country who want to work to make a better life for them and their families is good for the economy. They create demand, they will shop, they will spend money on other industries. 5. “Well, they won’t work, they’ll just sit on welfare and drain our resources.” There is absolutely no evidence to suggest this has happened, or will happen. 6. “We take too many refugees anyway, why let even more in?” The UNHCR Global Trends Report 2010 shows that Australia took one refugee per 1, 000 people in our population, and ranked 69th in the world for per capita refugee intake. 2012 UNHCR figures show that we rank 49th in the world for refugee intake. 7. “But they’re all Muslims!” Quick, everybody hide! Seriously, what the hell is your point? If what you really meant to say was ‘they’re all terrorists’ you are also wrong. The amount of asylum seekers sent home due to character references, out of the 14,000 odd we take each year, is almost in the single digits. 8. “If we just stopped the boats tragedies like this wouldn’t happen.” First, those aren’t just boats. There are people on them. Those people need a home safe from danger. We can give them that. Secondly, if you manage to stop the boats then I also have a Rancor in my basement that needs feeding. 9. “If people are stupid enough to risk their live in leaky boats it’s not my problem.” That’s an actual comment on a news website. I truly think my cat understands more about this issue than this person does. And my cat tried to eat its dinner through an unopened can. 10. “They should shut the back door to Australia and make them catch planes.” Please refer to all previous slides.